The illusive Aunty Christina’s Sarawak Laksa..
Well to me anyway. We usually only make it out in time for a late lunch, and since opening day, we’ve been met by the scribbles on the white board at the entrance that says “Sold out – come earlier tomorrow” – the ironic humor is not completely loss on us of course. Well several weeks later, we finally make it there to try the famous Kuching Sarawak Laksa. Aunty Christina’s stall used to be station in Nam Chun kopitiam, Lucky Garden until recently. We used to frequent her stall and others there but lack of parking and traffic congestion eventually had us avoiding the area. We did a post on Aunty Christina’s Sarawak laksa yonks ago together with other similar offerings around Klang Valley. The Sarawak laksa still tastes good here. There’s the regular size going for RM9, to RM12 for the jumbo sized prawns. 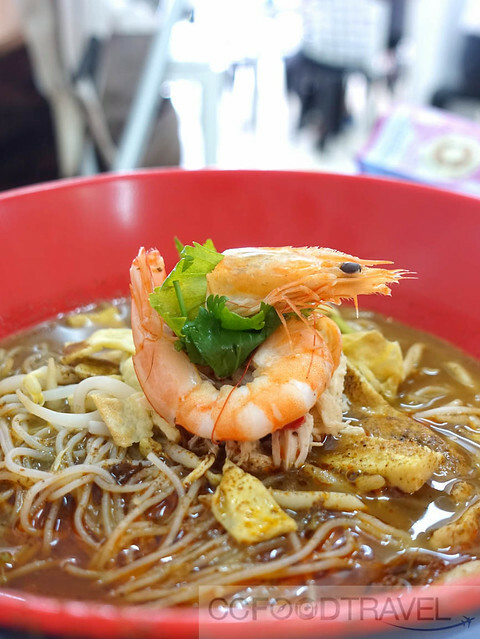 There’s also Sarawak kolo mee, kacangma chicken (motherwort chicken with chinese cooking wine) and herbal chicken soup on the menu, but most folks come here for their version of Sarawak laksa, which has a distinctive flavor compared to others. One deep mouthful of soup and out comes the flavours of shallots, garlic, lemongrass, galangal and dried chillies, and ground spices like coriander seeds, cumin, star anise, cardamom, clove and nutmeg. The shredded chicken, omelette and prawn toppings are generous, and a garnish of coriander leaves, with a serving of sambal (red chillies, onions, garlic, dried prawns and oil) and fresh lime seals the deal. Super yummy! 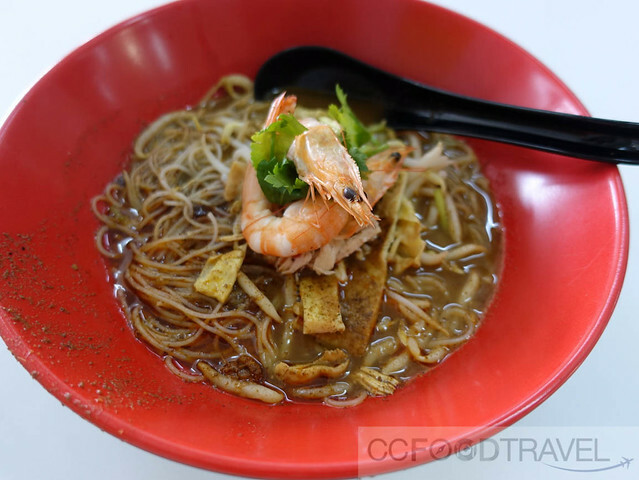 Have you tried Aunty Christina’s laksa or other dishes? Let us know what you think. Maybe you’ve had better ones and would like us to check them out. Let us know, regardless if the location is outside of Klang Valley. Previous articleYung Kee Beef Noodles, Pudu moves to a new hood! I hope they really open by 8am! Hey Mei. Finally I know who is Cumi&Ciki. I was your school mate yonks ago.. Anyway, have you tried the sarawak laksa in Kelana Jaya? Apparently almost as good as the one in Kuching.